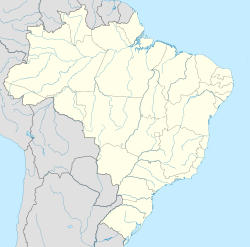 Iguatu is a city in Ceará, a Brazilian State, with a population of 103,255 (2018 est.). Agenor Neto is the city's mayor. A village of Quixelôs Indians existed at this site before the arrival of the Portuguese. In 1707 the Society of Jesus began Western settlement here. It has been classed as a city since 1874. It is the seat of the Roman Catholic Diocese of Iguatu. Eleazar de Carvalho - Conductor and composer.